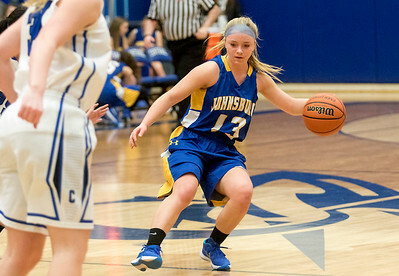 Sarah Nader- snader@shawmedia.com Johsnburg's Cortland Sommerfeldt dribbles towards the basket during the first quarter of Tuesday's game against Burlington Central January 5, 2016. Johnsburg was defeated, 64-37. 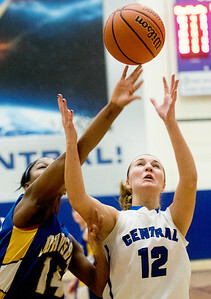 Sarah Nader- snader@shawmedia.com Burlington Central's Sam Pryor (left) guarded Johnsburg's Megan Madsen while she shoots a basket during the first quarter Tuesday's game at Burlington Central January 5, 2016. Johnsburg was defeated, 64-37. 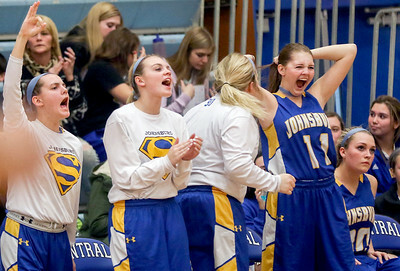 Sarah Nader- snader@shawmedia.com Johsnburg players cheer on their teammates during Tuesday's game against Burlington Central January 5, 2016. 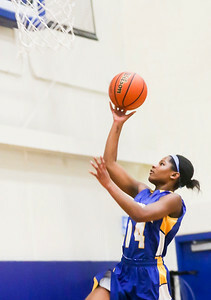 Johnsburg was defeated, 64-37. Sarah Nader- snader@shawmedia.com Johnsburg's Dani McCauley (left) and Burlington Central's Shelby Holt jump for the rebound during the third quarter of Tuesday's game at Burlington Central January 5, 2016. Johnsburg was defeated, 64-37. 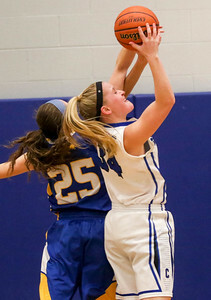 Sarah Nader- snader@shawmedia.com Johnsburg's Dani McCauley shoots a basket during the second quarter of Tuesday's game against Burlington Central January 5, 2016. Johnsburg was defeated, 64-37. 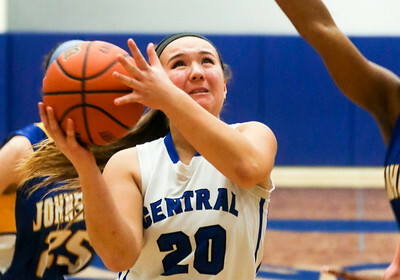 Sarah Nader- snader@shawmedia.com Johsnburg's Kayla Stefka (left) guards Burlington Central's Sam Pryor while she shoots during the second quarter of Tuesday's game at Burlington Central January 5, 2016. Johnsburg was defeated, 64-37. 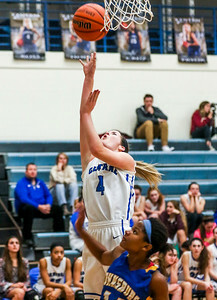 Sarah Nader- snader@shawmedia.com Burlington Central's Kristina Ahlers shoots during the third quarter of Tuesday's game against Johnsburg at Burlington Central January 5, 2016. Johnsburg was defeated, 64-37. 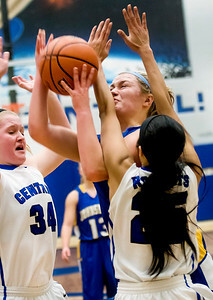 Sarah Nader- snader@shawmedia.com Burlingson Central's Kayla Ross (left) is guarded by Johnsburg's Dani McCauley while she shoots during the third quarter of Tuesday's game at Burlington Central January 5, 2016. Johnsburg was defeated, 64-37. Johsnburg's Cortland Sommerfeldt dribbles towards the basket during the first quarter of Tuesday's game against Burlington Central January 5, 2016. Johnsburg was defeated, 64-37.